Providing thought provoking insights into the geopolitics of Asia, this Wide Angle report examines the lives of cadets at Japan's National Defense Academy as well as peaceful demonstrators who are committed to reestablishing Japan's Post-World War II pacifist stance. From atomic bomb survivors to joint military operations with the U.S. Marine Corps, this 57 minute program offers viewers a unique glimpse into Japan's military past and future. Watch the construction of Japan's aircraft carrier Hyuga unfold along with surveillance flights in the Sea of Japan and learn more about this country's rise as to military power. In spite of being a country with a constitution devoted to Pacifism, Japan has emerged as a major military power with the 5th largest defense budget in the world. Learn about the the lives of cadets at Japan's National Defense Academy, joint maneuvers with the United States Marine Corps, the building of the aircraft carrier Hyuga and the future of Japan's military. As cadets prepare for possible deployment overseas, demonstrators and atomic bomb survivors peacefully demonstrate to preserve Japan's Post-World War II pacifism policies. 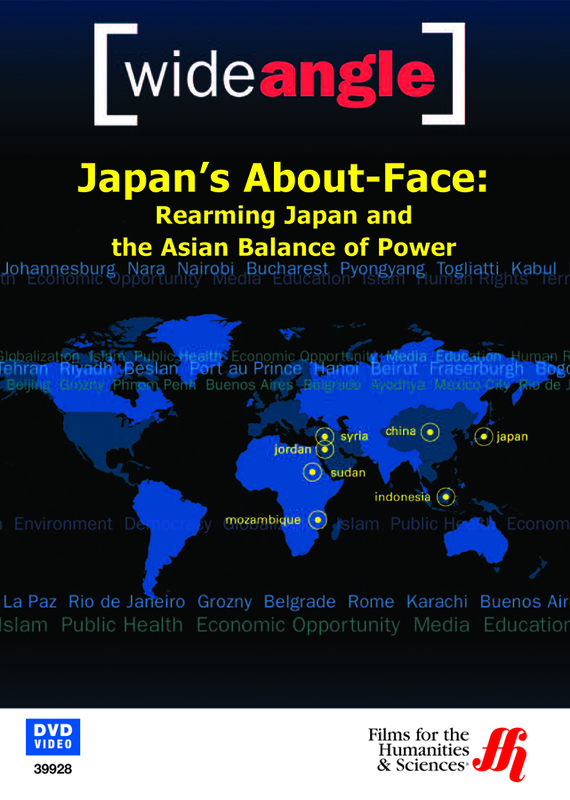 From surveillance flights in the Sea of Japan to those committed to protecting Article 9, part of the Japanese constitution that forbids going to war, this 57 minute program gives an eye-opening perspective of Asian geopolitics today.